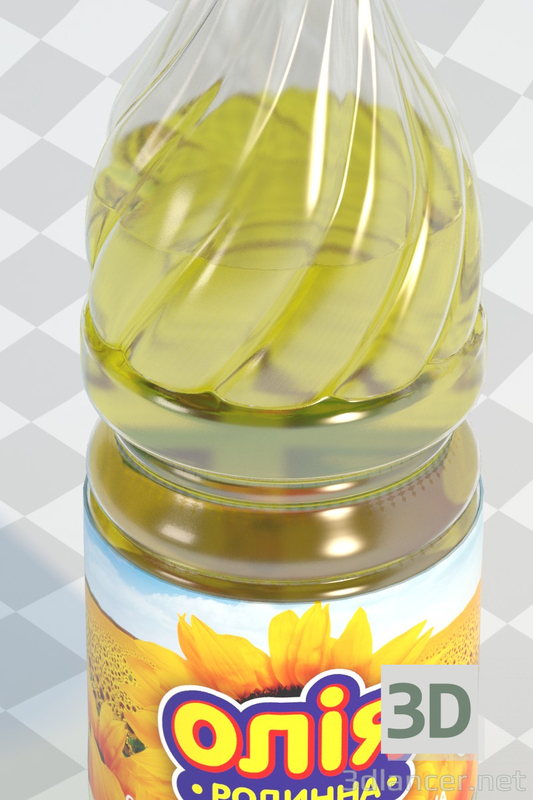 A bottle of oil. Several types of labels are added. The height of the oil is regulated by the Slice modifier. 3DMax 2012, 2015, Vray 3.20 Model in a studio file.